Have I mentioned yet how much I LOVE Easter? I adore the cute chicks and bunnies, the bursts of bright colors, and all the fun that the first holiday of Spring brings. I've seen some bloggers make printables and other cool creations, so I decided it was time to try and come up with some of my own. PicMonkey has so many settings, templates, and overlays available that made working on these really fun. I came up with some Easter phrases to go along with the graphics and played with the colors to make them bright and cheerful. For more fun ideas, check out my Pinterest page and be sure to follow me on Instagram , and look forward to a post this week for some sweet treats to use them in too! 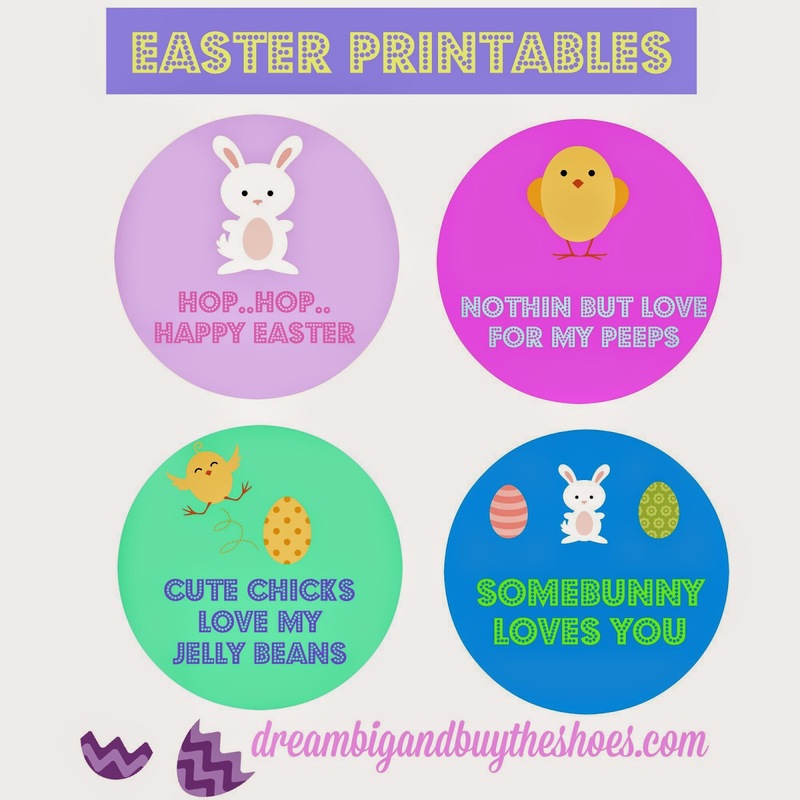 Get your Easter Printables here. Hop Hop Happy Easter My Peeps! These are sooo cute. You are so creative, well done! Super cute! I especially love the Somebunny loves you. These are adorable - we always love a good printable, they add a little extra touch of holiday cheer! SO CUTE!!! I love free printables ;) I love the first one, ha! Thank you so much! I had a great time creating something for my favorite holiday! I love Easter!! These are cute! Awe thank you so much Llinos, I appreciate your kindness! Easter is my absolute favorite :) Thank you so much Chelsea! Those are so cute!!! Thanks for sharing girl! Thank you Amanda, glad you like them!